Serving the las Vegas valley since 2006. 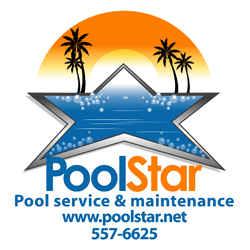 If you’re looking for reliable swimming pool cleaning service in Las Vegas then PoolStar is the service provider for you. We genuinely care for your pool and will NOT provide the splash and dash service that you might find else where. We have standards of service that ensures your pool is manually vacuumed on each service including brushing the walls and tiles, emptying all baskets and balancing the water. Five-star reviews on Yelp, Google, Angie’s list and other sites giving you peace of mind.